KANSAS CITY, Mo. (Nov. 8, 2018) -- United Soccer Coaches announced on Thursday that Jason Neumann has been selected for the Mike Berticelli Excellence in Coaching Education Award. He will be officially presented the award at the annual Awards Banquet on Friday, Jan. 11 at the 2019 United Soccer Coaches Convention in Chicago. The Mike Berticelli Excellence in Coaching Education Award is named after former United Soccer Coaches Director of Coaching and VP of Education Mike Berticelli and is presented each year in memory of the Notre Dame coach who passed away in January 2000. It is presented to a member of the United Soccer Coaches Academy Staff in recognition of positive contributions to the game of soccer and excellence in educating coaches. A member since 1995, Neumann's full-time position is as a Vice President – Division Finance Manager for BBVA Compass. He has impacted thousands of coaches who’ve taken the nearly 100 courses he’s taught as a member of the association’s National Academy Staff and National Goalkeeper Staff. Countless more coaches have benefitted from his time as a United Soccer Coaches and U.S. Soccer Grassroots Instructor. He has served as United Soccer Coaches Alabama and Mississippi State Director. 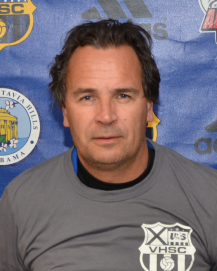 Currently serving as the Academy Director for Vestavia Soccer Club in Vestavia, Ala., Neumann holds United Soccer Coaches’ Premier and Advanced National Goalkeeping Diplomas and an U.S. Soccer A License. He’s been a presenter at multiple United Soccer Coaches Conventions and is the Chair of Introductory Speakers at the event. Neumann was a successful coach at the high school and college level in Alabama, spending time at Birmingham Southern College and Mountain Brook High School before taking the role of General Manager with the Birmingham Grasshoppers of the USISL. He had a .681 winning percentage and captured one conference title in four seasons as the head women’s coach at Gwynedd Mercy College in Pennsylvania and has since held various technical and administrative positions with various clubs in Alabama.